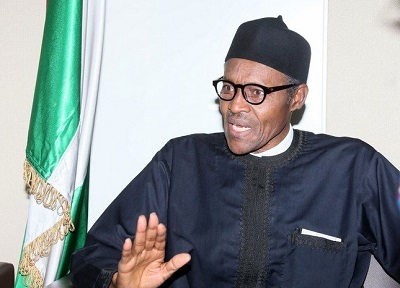 Presidential Candidate of the All Progressive Congress (APC), Muhammadu Buhari, today assured the Nigerian media of press freedom if he wins the 2015 presidential election. Speaking at an Interactive Session with the Nigerian Press Organisation (NPO) in Abuja, Buhari said the infamous Decree 4 of 1984 which was used to clamp down on the media when he was head of state was one of the things that come with military rule. “I give you my full assurances that the Nigerian media will be free under our APC government. I also want to use this opportunity to appeal to you to use your media outlets in shaping positive public discourse and eschew hate speech mongering and slanderous political rhetorics which heat up the polity for the sake of peace and stability of our dear nation,” he said. Buhari expressed appreciation to the newsmen for for the role you have played in advancing our country’s democracy thus far and heeding his invitation to the special meeting with key stakeholders in the Nigerian media. Corruption Is Extremely High In Nigeria – US Deputy Sec. U are a man indeed.